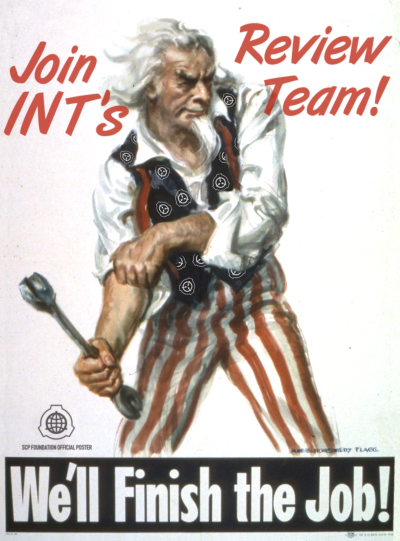 The International Translation Archive needs YOU to join the Review Team! You are fluent in English? You want to help the Archive out? Apply today for the Review Team. As a member of the Review Team you would be a staff member, and gain access to our illustrious staff site and the Review Team's chat. Who can apply? Everyone fluent in English, native speaker or not. Also already being staff in the archive or another wiki has no influence on membership in the Review Team. How to apply? Just answer to this thread or send a PM to LadyKatie here or on our Discord. You will be asked to correct a short article or section of an article to test your skills then. PS. You don't want to join the Review Team but to help checking translations? Just see the box below for articles in need. This is an overview over the Review Attention Level of all pages in this wiki. o = Quite good, not much to do, just a last check. oo = Needs minor attention. Spelling and grammar are mostly correct. ooo = Needs major attention. Some sentences and expressions may need to be rephrased. Spelling and grammar may need correction. oooo = Emergency! Partially rewrite may be necessary, while MTFs secure the premises. Everybody who reviews a translation removes one "o'', though the last level may only be removed by members of the Review Team! This means that all new translations are at least level "o''. If the last level is removed, it is replaced with "_o''. This tag is normally invisible and is used by automated lists. Whenever translators post their work in the wiki, they estimate the Review Attention Level of their translation, with a minimum of "o''. Staff and fluent English-speakers may change the Level if they think it doesn't fit.